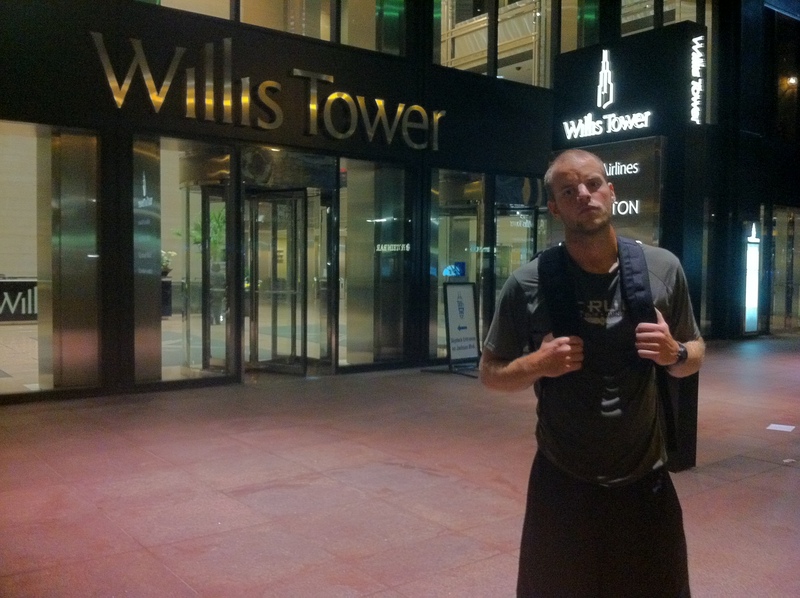 When Steve asked if I would do a quick run around the best city in the world – I figured why the heck not? Chicago is absolutely amazing. We started off, just off of Michigan Avenue and made our way through the crowds towards Congress. 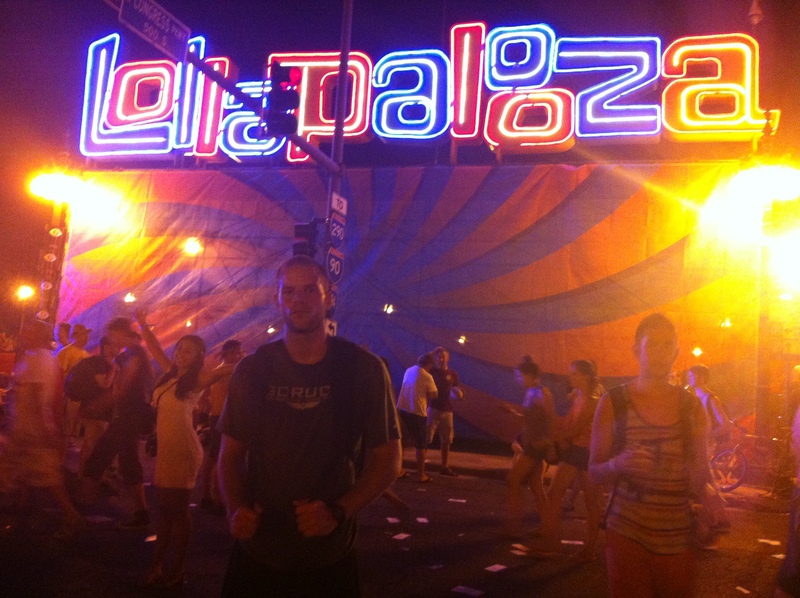 There, we stopped in front of the entrance to Chicago’s famous summer festival – Lollapalooza. 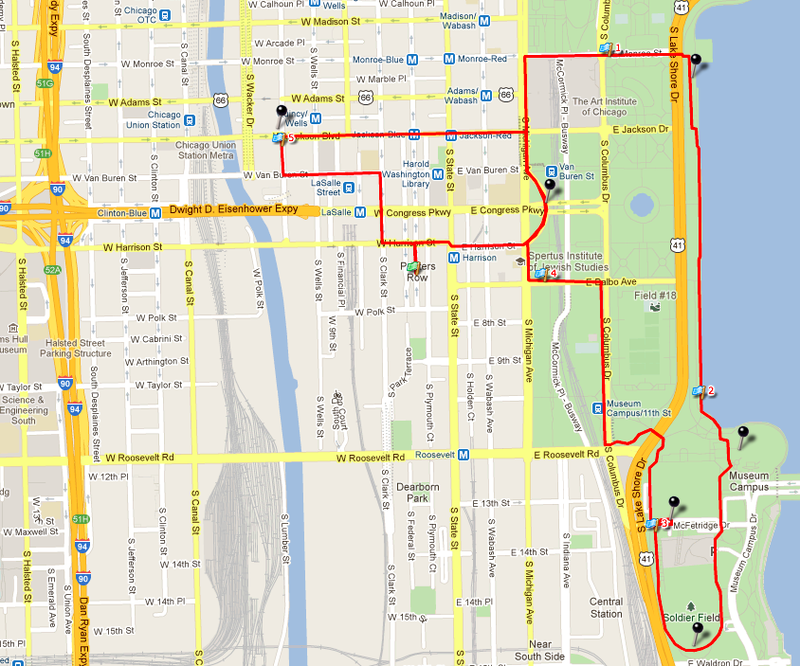 Yup, while mobs of people were running to mosh, we were going to run and see Chicago’s landmarks. 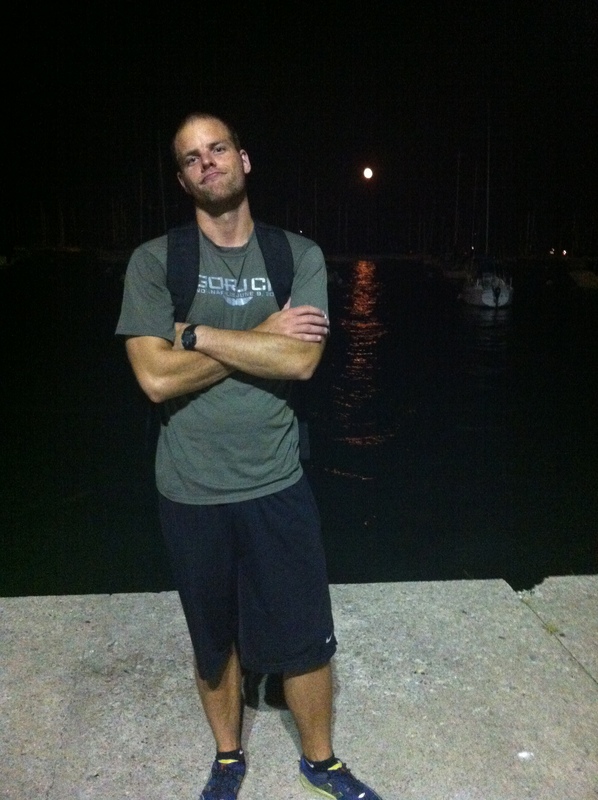 From Lollapalooza, we headed north and then east towards Chicago’s waterfront and yacht club, where in just a few weeks, I’d be running the Chicago Triathlon. While it was dark and hard to see much of anything, it’s an absolutely gorgeous place to watch the sunrise. From there, we jogged south to the Shedd Aquarium – the most visited aquarium in the world. I can’t count the number of times I came here throughout my elementary and middle school days. The dolphin shows were always amazing. Oh, and they have penguins. Penguins are always awesome. 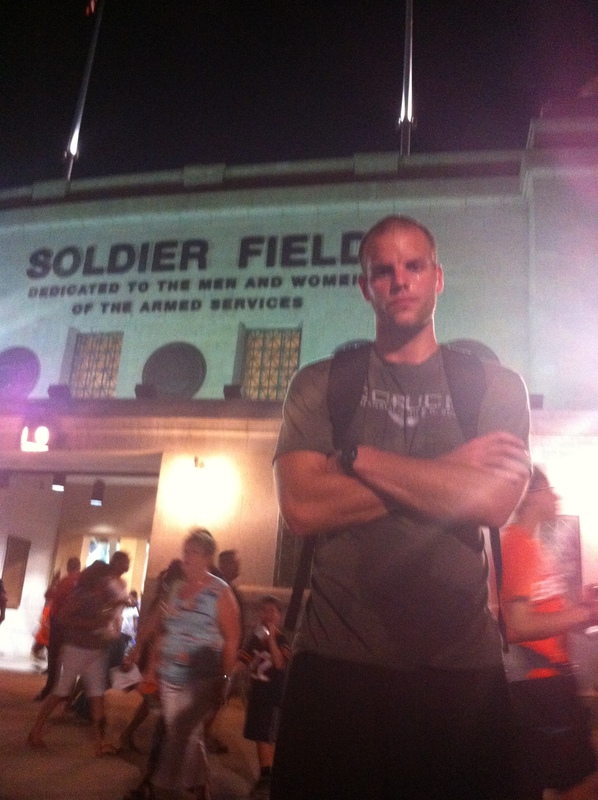 From Shedd, we made our way past the “family night” crew exiting Soldier Field and enjoyed the stadium. We are anxiously anticipating the upcoming football season. Da Bears. Da Bears. Da Bears. 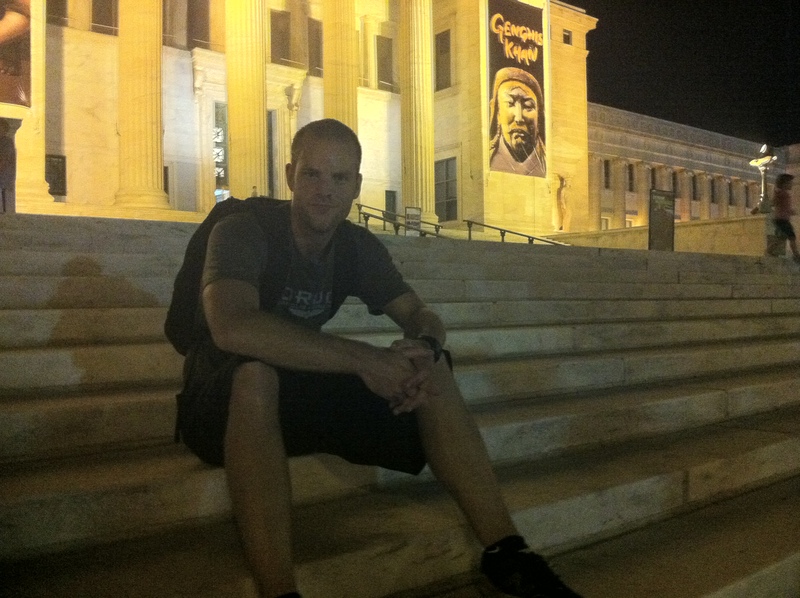 From Soldier Field, we made our way through the crowded families and headed north, making a stop at the Field Museum of Natural History – home to Sue, the best preserved T-Rex Fossil in the world. Then, we headed north, back through the park and around to the entrance of Lolla again. We waved to our friends and headed south on Jackson to see the Willis Tower, a building that everyone still calls the Sears Tower. It was the tallest building in the world up until 1998. After looking up at the tower’s dizzying heights, we headed back south to our starting point. 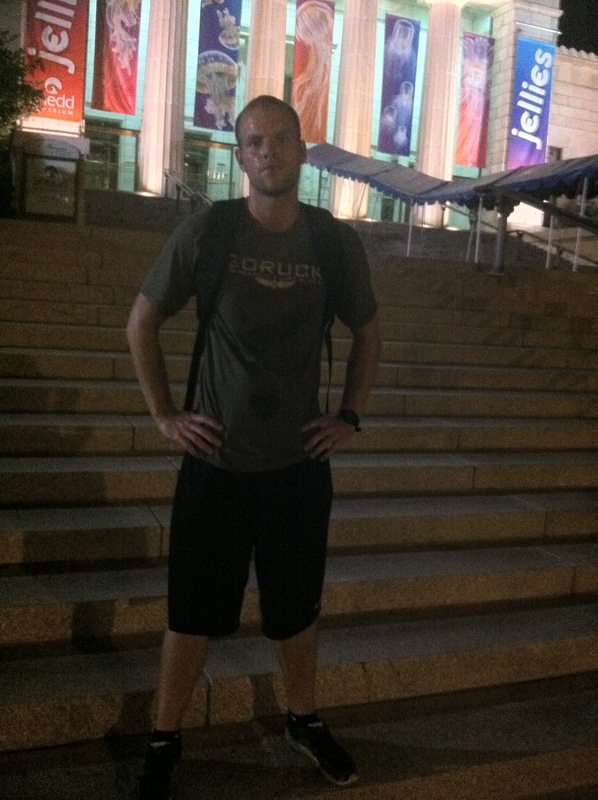 6 miles in the best city in the world. 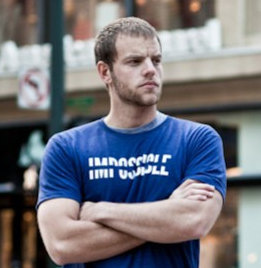 Joel Runyon is the creator of Impossible HQ where he pushes his limits by living an adventure and doing the impossible. He recently released Impossible Abs. OK, not all snorers are fat so this might not bbe a problem.